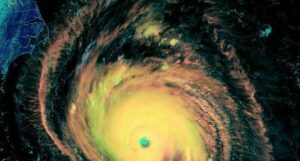 Weather warfare continues to be ramped up around the world, Hurricane Florence is only one example. Super Typhoon Mangkhut is predicted to become the most powerful storm since record keeping began and will likely impact Hong Kong. Though countless forms of human activity are decimating the climate,geoengineering programs are single greatest climate disrupting factor. The continued mainstream media cover-up of illegal climate engineering operations makes them accessories to these crimes. So called “elected officials” must also be considered accessories to the climate engineering crimes due to their complete refusal to address or acknowledge this most critical threat. If there is any chance whatsoever of exposing and halting the climate engineering assault, it is up to us. All of us are needed to help sound the alarm, sharing credible data is key. Reaching a critical mass of climate engineering awareness is the only way forward, we must all make our voices heard. For what my thoughts are worth for you understanding with you, I would like to share my beliefs with everyone. I personally, have had the time to research into what I believe is happening worldwide of a eugenics program to reduce the population of the world. This is being carried out by the Elites of the world who believe in the fact that they are from a superior blood line to us. From what I have observed about events happening in real time all around the world, I see a pattern happening that is going to effect all of us and our children’s future. This involves the fact that a numerous amount of deliberate caused one way or another are starting to make parts of the world uninhabitable to mankind. There is a worldwide plan to reduce the population of the world and put those left to serve as servants to the elite are placed in controlled inhabitants. We are living in an age where the elites are using many techniques including weather modification to rounf us up like cattle to be forced to move to inner cities to think we are safe. Please look into wnt Indigo Warrior is saying as what she says is for your protection of a dark elite who want to control the world so they can live their lifes in luxury at our expense.